DC Atty General: "I'm not worried about the constitutionality" of Mayor's state of emergency | Jon Katz, P.C. Giddiness seemed to run wide over Adrian Fenty’s ascension to the District of Columbia mayoral throne two years ago at age thirty-five. He apparently made good at knocking on more voters’ doors than his competition, had the energy to get his daily work done and still run for miles weekly, and learned valuable work ethic lessons from his parents who took a risk at opening an ultimately thriving running store. Mayor Fenty: Just because courts let government actions pass Constitutional muster does not make the actions wise or right. Courts are not charged with only allowing wise or beneficial laws. For instance, in dissenting from the Supreme Court’s ruling invalidating Connecticut’s law criminalizing providing contraception even to married couples, as well as advising them about it, Justice Stewart, joined by Justice Black, confirmed: “I think this is an uncommonly silly law… But we are not asked in this case to say whether we think this law is unwise, or even asinine. We are asked to hold that it violates the United States Constitution. And that I cannot do.” Griswold v. Connecticut, 381 U.S. 479 (1965) (emphasis added). The Examiner newspaper quotes D.C.’s interim attorney general Peter Nickles as saying: “This is a very targeted program that has been used in other cities… I’m not worried about the constitutionality of it.” Fortunately, even a D.C. city councilmember who tentatively supports this neighborhood safety zone approach said “he worried about D.C. ‘moving towards a police state.’” Worried about moving to a police state? With this neighborhood safety zone plan, the District of Columbia will already be a police state. The Washington Post further reports: “Police will search cars if they feel they have probable cause to do so. Drivers who don’t cooperate with the request to produce identification or who object to being refused entrance to the block could face arrest for failing to obey police.” Fortunately, the Supreme Court’s 2004 decision in Hiibel v. Sixth Judicial District Court of Nevada prohibits arrests for identification refusal (and leaves open the door to prohibit cops from requiring anything more than one’s name, versus one’s photo identification and address, unless the person is driving a car) except where police have reasonable suspicion to believe the suspect has committed a crime. (See Mr. Hiibel’s Constitutional rights being shredded here.) Clearly, reasonable suspicion will not arise merely for driving into a police-designated neighborhood. 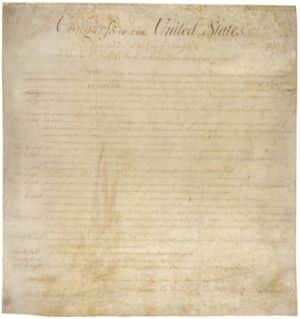 Also, people have a right to object to police activity under the First Amendment; unfortunately, too many courts have allowed disorderly conduct laws to erode the First Amendment, making that a route for police to arrest people, for example, who yell at the cops that they’re jackasses for taking actions that create a police state. More fundamentally, I believe that it is clearly unconstitutional to stop all cars entering neighborhoods targeted by the cops in this “neighborhood safety zone” program, particularly where the cops will require identification and will prohibit entrance to the neighborhood if the police are not satisfied with the visitor’s explanation for their visit. It is bad enough that courts permit cops to estabilsh “sobriety checkpoints” to enable them to stop every passing car (I was a victim of such a checkpoint in D.C.’s Georgetown neighborhood); unlike the neighborhood safety zone plan, at least the sobriety checkpoints do not involve requiring identification nor prohibition against drivers continuing on their way (unless they get arrested for drunk driving). Yes, the District of Columbia has seen a huge number of homicides since last weekend. Unfortunately, mayor Fenty’s “neighborhood safety zone” plan adds to the violence by aiming at the heart of the Bill of Rights.